The most familiar story about Isaac Newton is the story of how the theory of gravitation came to him, which involved being hit on the head with a falling apple. Though this story is probably more folklore than fact, it is quite likely that seeing apples fall from trees may have influenced his theories of gravity. Newton spent much of his life investigating religious issues, and early on, had intended to go into the ministry. He read the Bible daily, believing it to be the word of God. He did, however, reject some of the major philosophies of Christianity. Sir Isaac Newton has numerous mathematical and scientific achievements to his name. 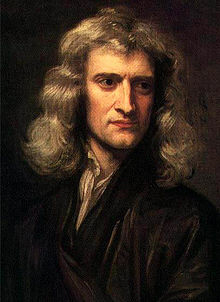 In mathematics, he developed the generalized binomial theorem, Newton’s identities and Newton’s methods, discovered a new formula for pi, and made substantial contributions to the theory of finite differences. Among his scientific achievements, Newton made great advancements into the study of optics. He developed the spectrum by splitting white light through a prism. He also made significant improvements to the development of the telescope, and he explained the three laws of motion that laid the framework for modern physics. Years of working long hours under continued stress led to what was probably a nervous breakdown, in 1690. Eventually he fully recovered, and in 1696 the government appointed him to the post of Warden of the Mint. He supervised the replacement of England’s old and damaged coins with those that were new and more durable. In 1701, he began another short term as parliamentarian and was elected president of the Royal Society, a position he would be re-elected to every year for the rest of his life. His fellow scientists held him in high esteem. He became the first person to receive a knighthood for scientific achievement. We are proud to name the Academy after this brilliant scientist and theologian.